A statement as defined by the sed language -- except for branches and labels which are not supported. A sed script is a collection of sed language statements which will all be applied to all input lines from a stream -- unless those statements are suppressed by a line selection filter. 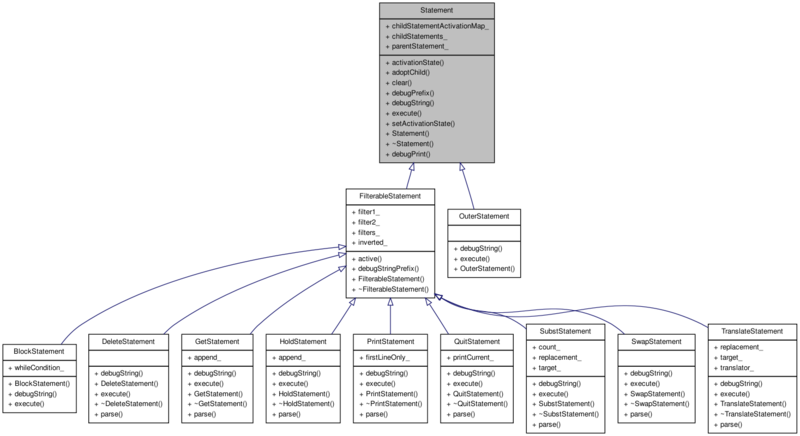 In muSED, branches and labels are not supported, nor is the test command which is a variant of the branch command. 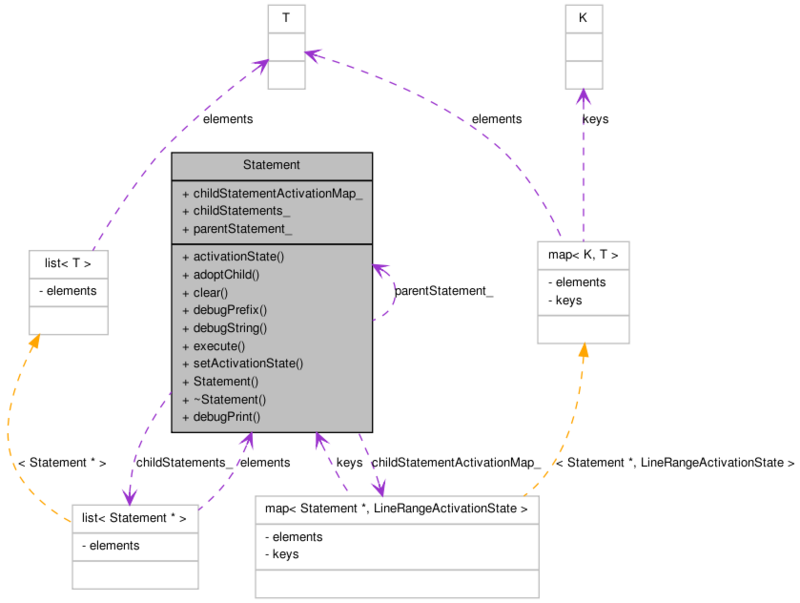 sed Statements have an optional prefix and statement body. The prefix contains 0, 1, or 2 filters used to decide if the statement should be executed on the current input line. 0 selection filters mean that the statement body applies to all lines to be processed. 1 filter prefix means that the statement body applies ONLY to lines that match the filter. 2 filter prefixes define a range of lines. The body is applied to all lines from the first line that matches the first filter to the first line that matches the second filter. The command will be applied to all ines in the range. You can use a nested command with its own filter to avoid having the command applied to the last line. after having done an H). d    -- print the current line and stop processing it. 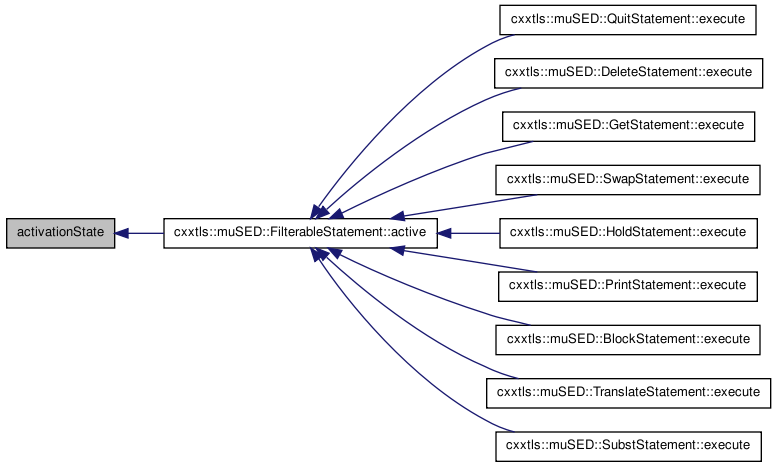 The pattern buffer is the place where the current of input is stored at the beginning of processing. The hold buffer is a second string variable which can be quickly swapped with the pattern buffer. Two buffers are all you get. Definition at line 319 of file muSED.h. Definition at line 420 of file muSED.h. Definition at line 454 of file muSED.h.